Prince George Farmers' Market Association, 3rd Avenue, Prince George, BC, Canada - Got Food Poisoning? Report it now. “My sister went to the walk in clinic and the doctor said it was food poisoning. 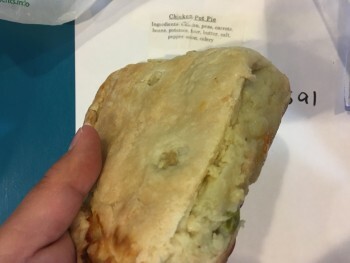 Bought a chicken pot pie from a vendor . contacted the farmers market the day after bc both my sister and i got food poisoning from it .After cooking it for an hour and a half at 350 as suggested...I needed to cook it an additional 40 minutes before it got hot. Even after two hours and ten minutes of being heated, there was still frost bit edges . This picture is after it was cooked.